Everyone would love to have a wide, bright, and beautiful smile, but nature isn’t always so generous with giving them out! If you have stains, cracks, chips, or gaps that constantly make you feel self-conscious, then our team is ready to give you the smile of your dreams using our cosmetic dentistry services. With them, we can eliminate just about any flaw you can imagine and give you a set of teeth that always lights up a room. Ready to get a confident, radiant smile? If so, all you need to do is contact us today. They are extremely thin ceramic coverings that are bonded to the teeth, and they can be custom-made to give you everything from a minor touch-up to a complete smile makeover. If you have a damaged tooth that shows when you smile, then we’ll use a natural-looking metal-free dental restoration to repair it. These all-ceramic crowns, inlays, and onlays are just as strong as their metal counterparts, and they can be specially shaded to blend in seamlessly with the rest of your smile. Thanks to our team’s meticulous attention to detail and our own in-house dental lab, we’ll make sure that only you and your dentist will know that you’ve had dental work. 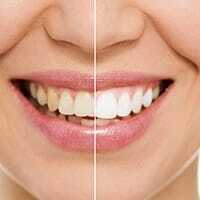 Have a small stain, chip, or gap that completely throws off the appearance of your smile? 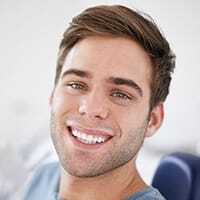 For these kinds of minor issues, we can quickly fix them with direct cosmetic tooth bonding. Your cosmetic dentist will start by applying a tooth-colored composite resin to your tooth, and then they’ll use it to literally sculpt away any problem you might have. It’s just that simple, and it can drastically improve your smile’s appearance in as little as an hour without the need of any local anesthetic. 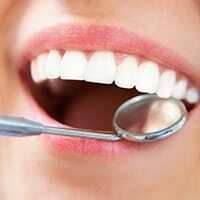 Have your teeth become stained or discolored over the years? Everything from the foods and beverages we enjoy every day to aging and genetics can affect the color of our smile, so to turn back the clock and restore your bright shine, we’re happy to offer both in-office and at-home professional teeth whitening. Whether you want to whiten your teeth as quickly as possible or in the comfort of your own home, we can easily give you a smile that’s 6-10 shades whiter in no time! Invisalign now allows adults with crooked, crowded, or gapped teeth to get them straightened without having to wear bulky metal braces. 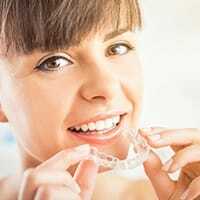 It uses a series of clear plastic aligner trays to shift the teeth in the most discreet and comfortable way possible. With this treatment, you’ll be able to smile with confidence the entire time, plus you can easily take the trays out whenever you need to eat or brush your teeth. With our virtual smile design system, we can help you look into the future and give you a preview of what your smile will look like after undergoing a particular cosmetic dental treatment. Using a digital picture of your current smile, we’ll manipulate it to create your own “before & after” shots so you can have a better idea of what to expect. 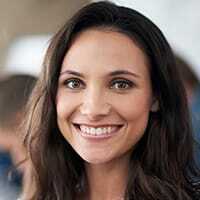 You can show these images to friends and family to get their opinion, and you can even use them to ask us to make any adjustments so we can be certain that we’re giving you the perfect smile.